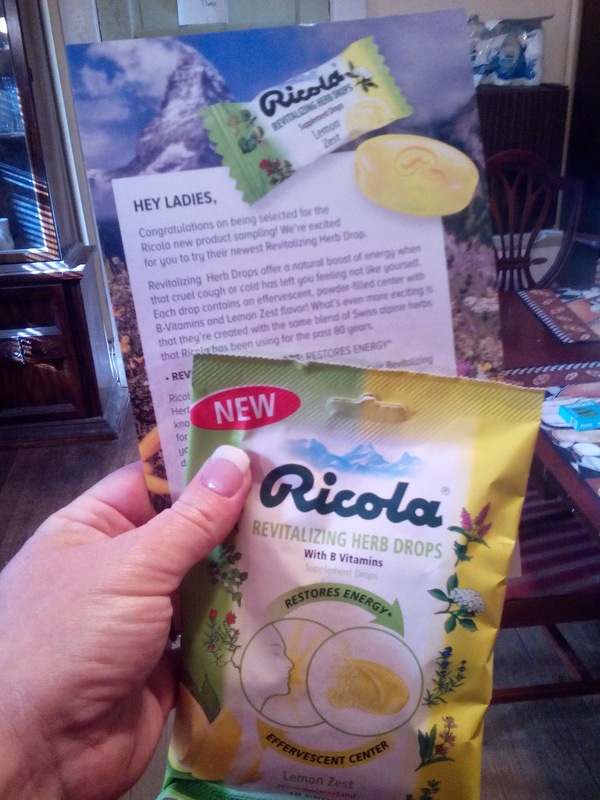 I was chosen to try the new Ricola Revitalizing Herb Drops free through Crowdtap in return for my honest feedback about the product. 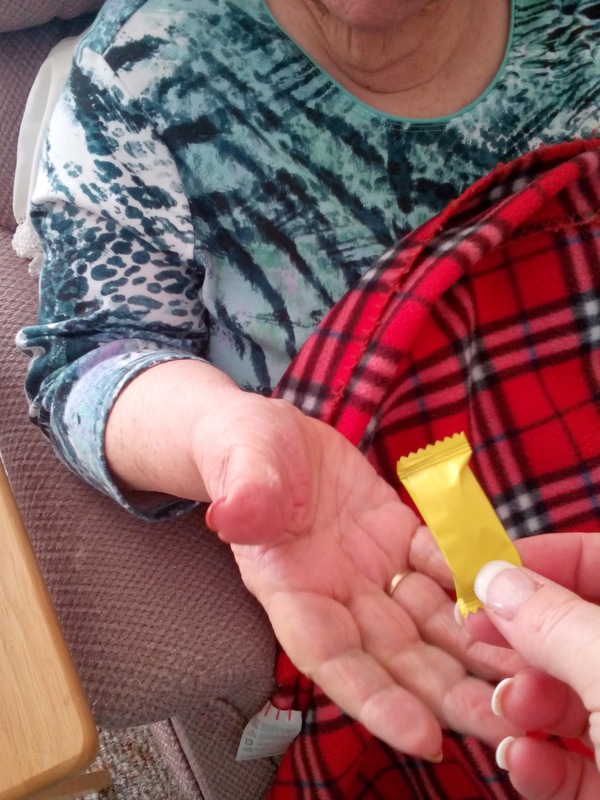 I received 1 package containing 18 drops, Lemon Zest flavor and a sharing guide. 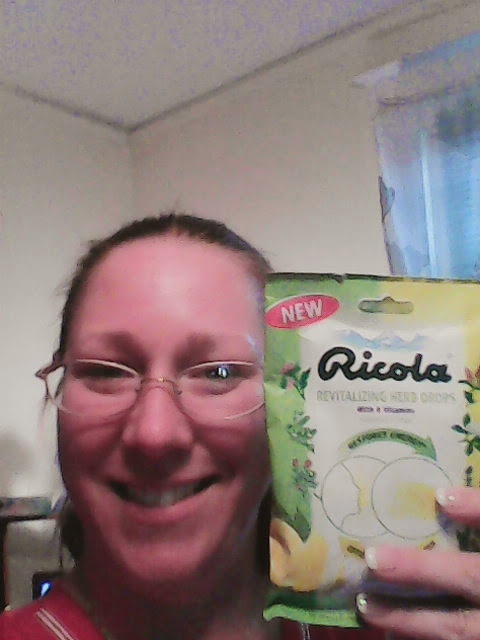 I had never tried the Ricola brand before receiving it free through Crowdtap, so i wasn't sure what to expect. I always just purchased my normal brand of throat soothing drops. I have always seen the commercials on T.V. but never gave them a second thought. I always did the Riiiiicolaaaaa, and i just know your doing it now aren't you? HAHAHA .......Anyway! The suggested dose on the package states to use 2 drops at a time. 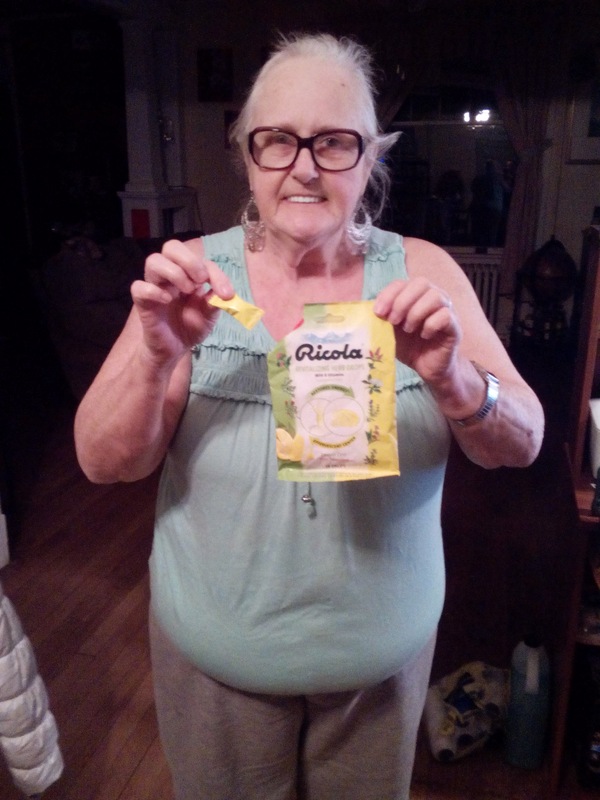 The back of the package reads "Ricola Lemon Zest provides B vitamins, in combination with a mixture of Swiss alpine herbs and Ginseng, in a natural and refreshing way". 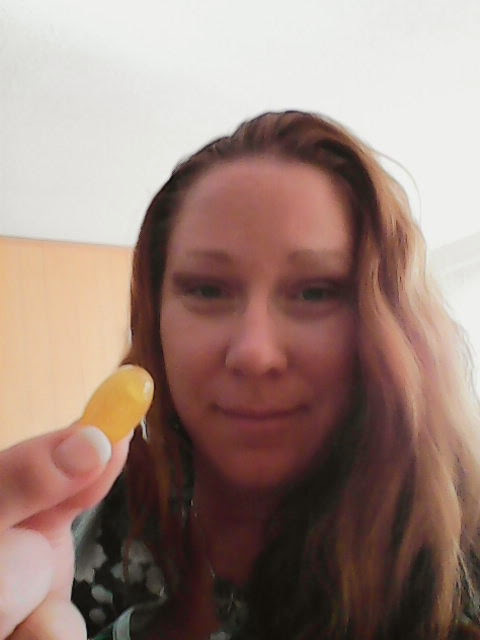 The drops tasted really good and just like they say on the package, like lemon zest! I truly enjoyed the taste! 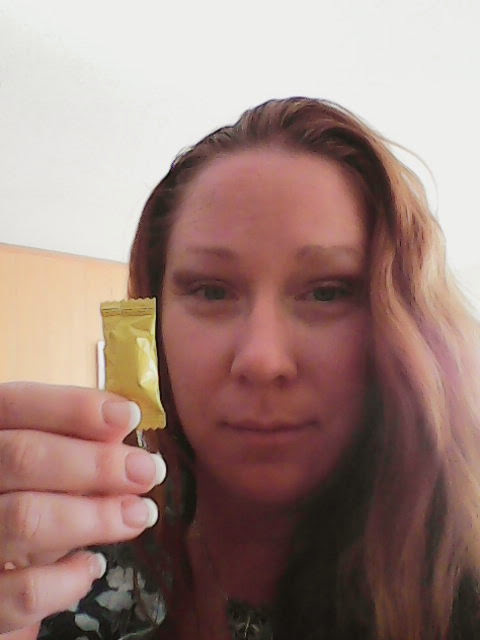 I've learned through my challenge that Ricola makes their products out of all natural herbs. They filled this particular one with B vitamins in an effervescent center to help revitalize you during the day! I do have to say they work as promised! 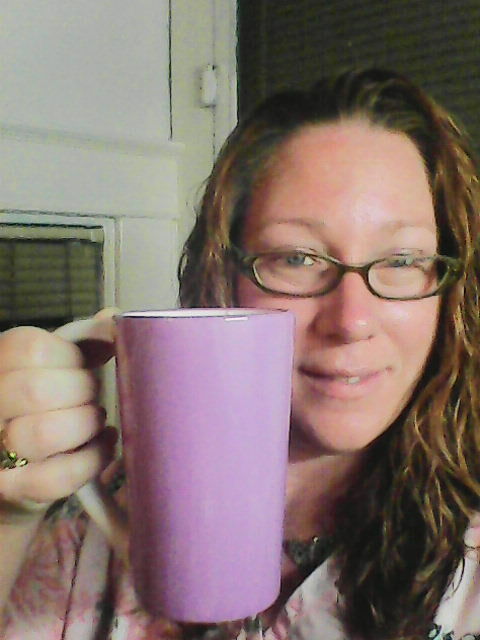 It didn't give me like a caffeine boost but just enough to help me! I really enjoyed this challenge and learned a lot about a product that I hear a lot about but never tried. I enjoyed the product so much that after I handed out some to friends, I went to the store and purchased some more as well as other flavors. 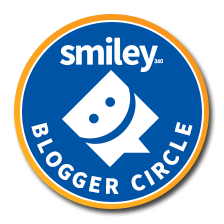 The website is really easy to navigate and even easier to earn points. I'm already 10% on my way to my free gift card and I haven't been on the site for very long at all. Super simple! They have a lot of content that I can relate to. I love watching the videos, its the easiest way to earn points. You can also do surveys which give you more points. There is a radio you can listen to and earn points! Who doesn't love listening to music? Easy peasy points! So if your interested in earning free gift cards just click this link and sign up! 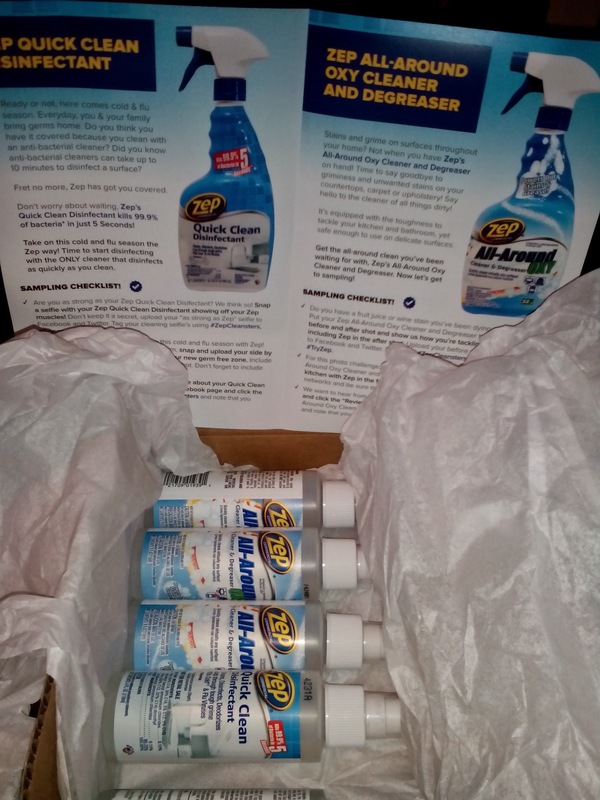 I had the opportunity to try Zep cleaners for free through Crowdtap in return for my honest opinion! 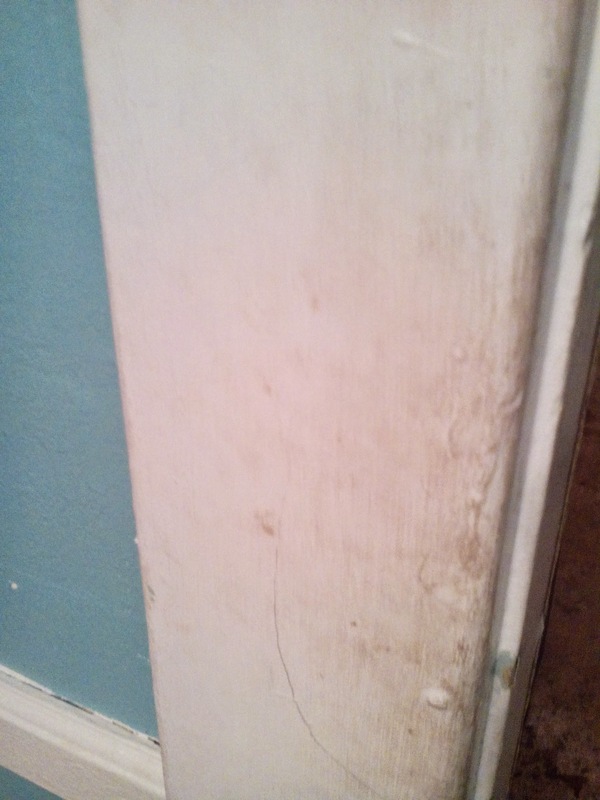 I started out by cleaning some of the door frames in my house. I have to say it worked wonderfully! 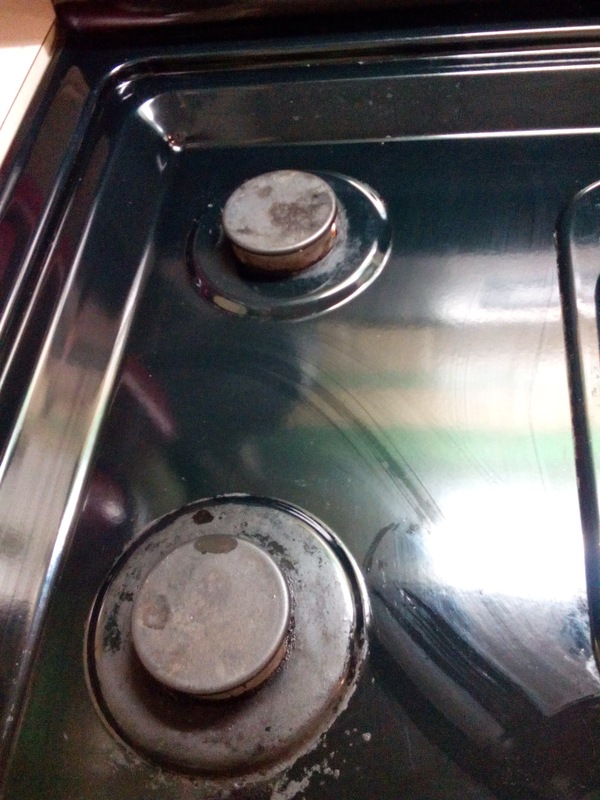 They were pretty nasty and hadn't been cleaned since.....WOW, since we purchased the house 3 years ago...I know I know, shame on me HA. 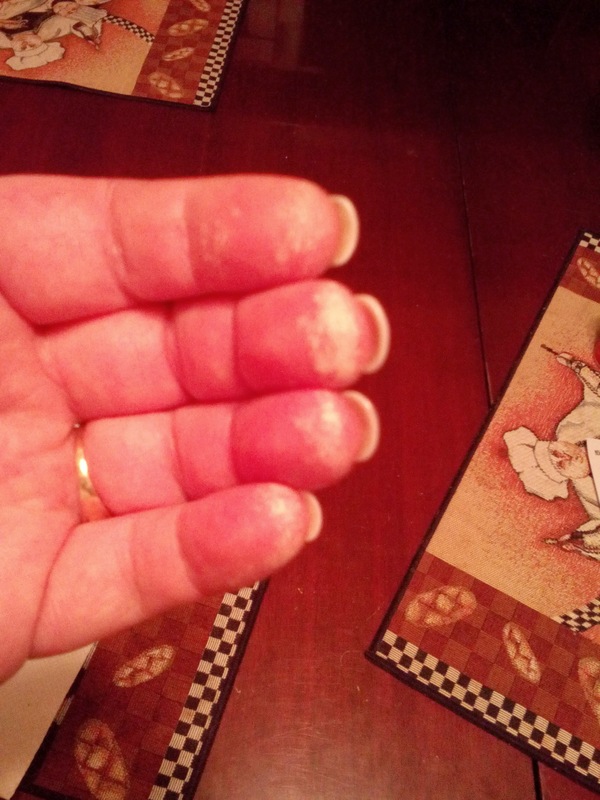 Well let me tell you, they are clean now! 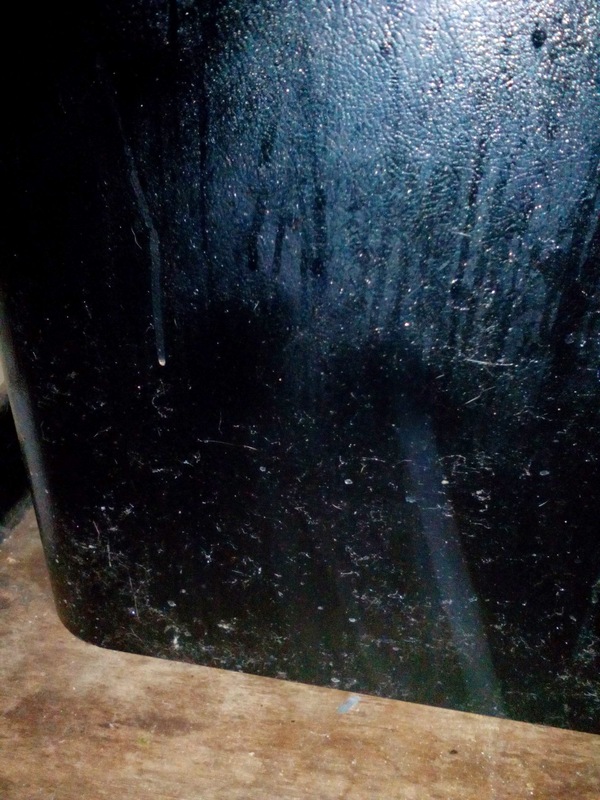 The Zep quick clean is fantastic at getting dirt and grime off of door frames, walls, tables, counters and even worked on a dirt spot on my hardwood floors! Something my mop kept missing. 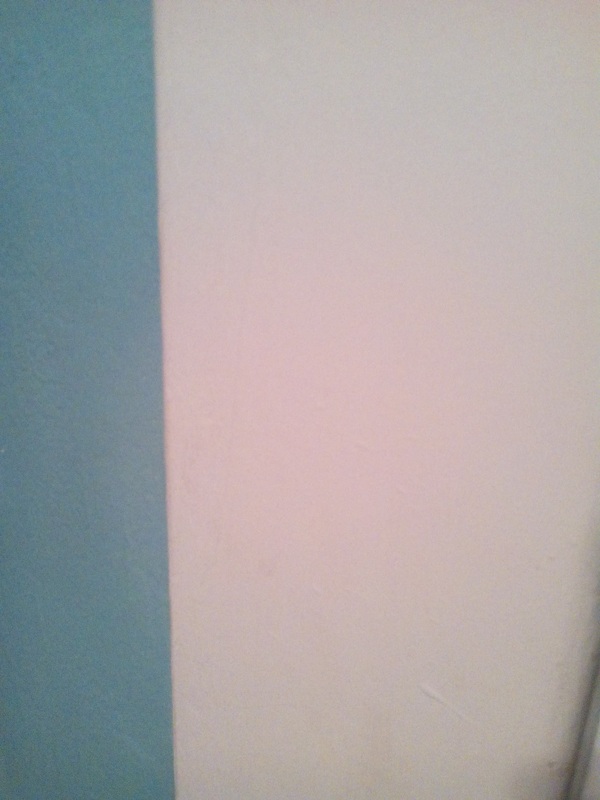 The Zep All-Around Oxy cleaner and de-greaser was a bit disappointing. 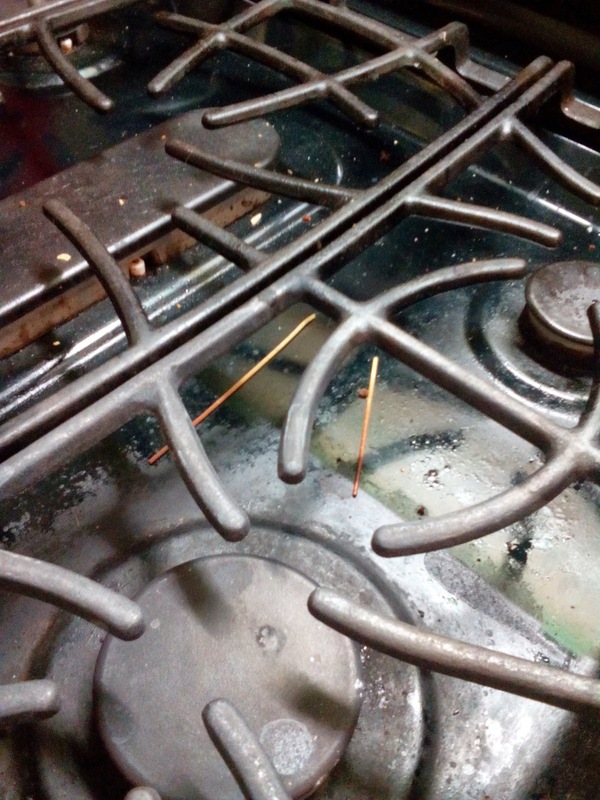 My stove top was pretty bad but I would expect a de-greaser to do a better job. 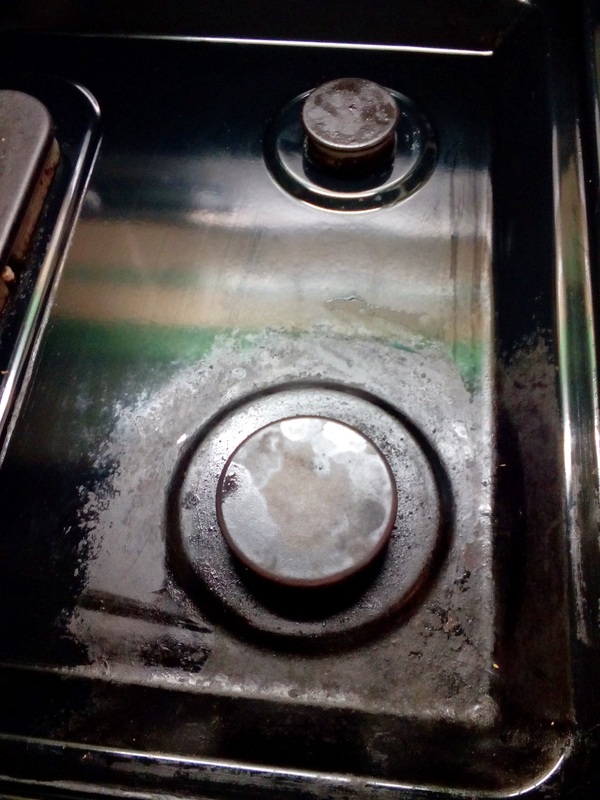 I did get a lot of the grease off but it left a lot too. Even when I let it soak. 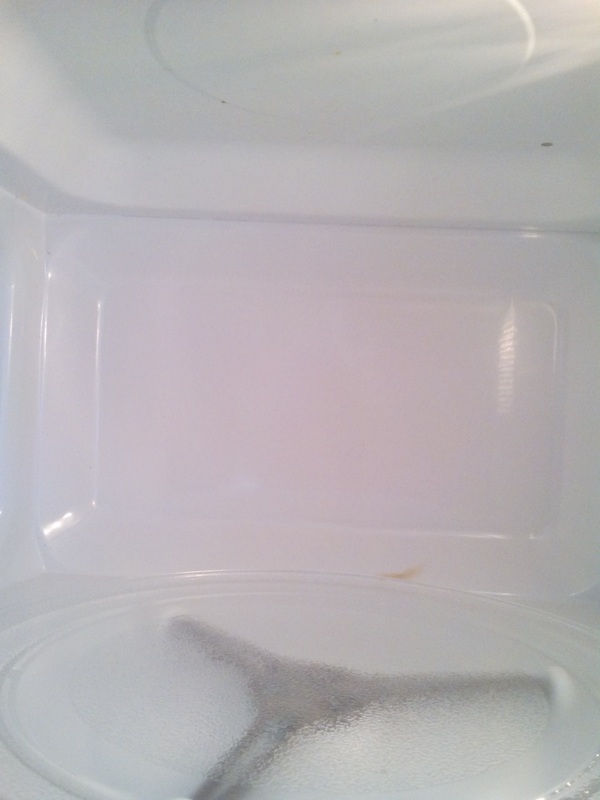 i scrubbed and cleaned 3 times before I gave up and used my normal cleaner. Overall, I think the Zep Quick Clean Disinfectant is wonderful and I will continue to purchase and recommend the product. 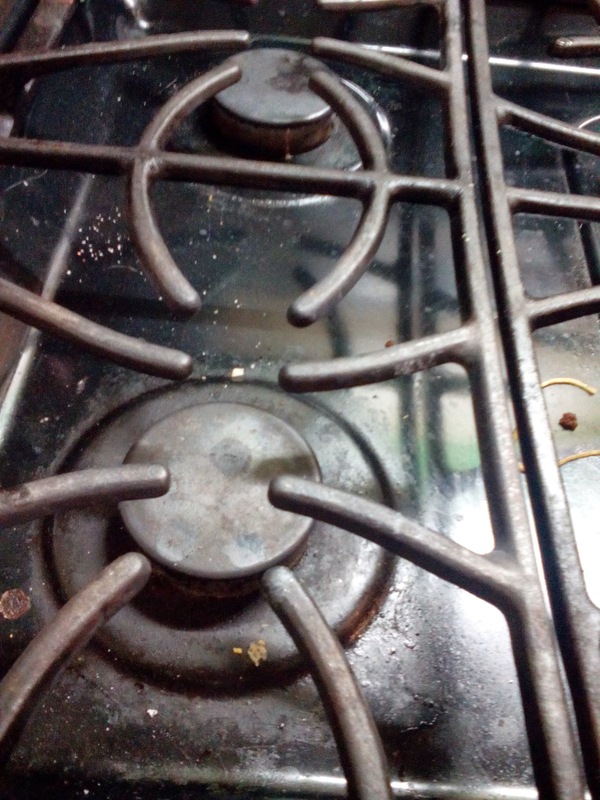 The Zep All-Around Oxy cleaner and de-greaser, on the other hand, will not be added to my cleaning routine and I would not recommend for big jobs like my stove. 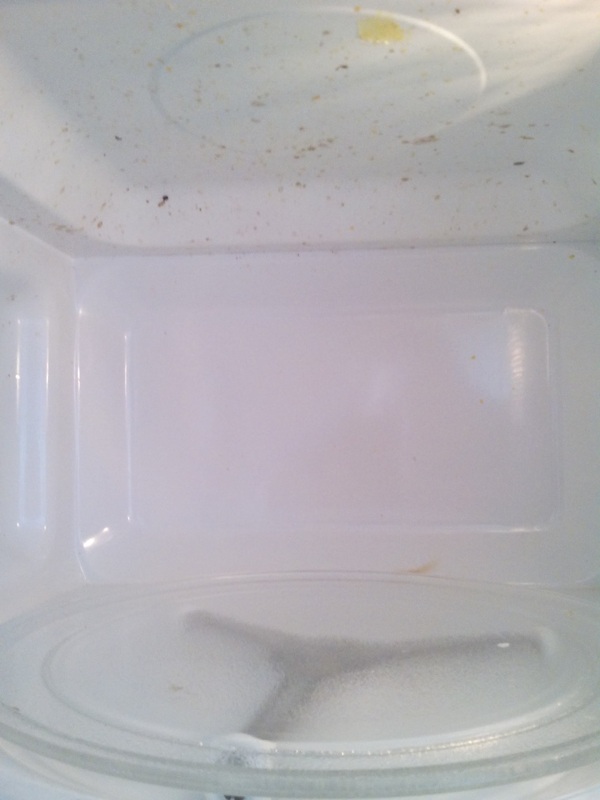 It will work for smaller not so baked on messes but not something like what I cleaned. 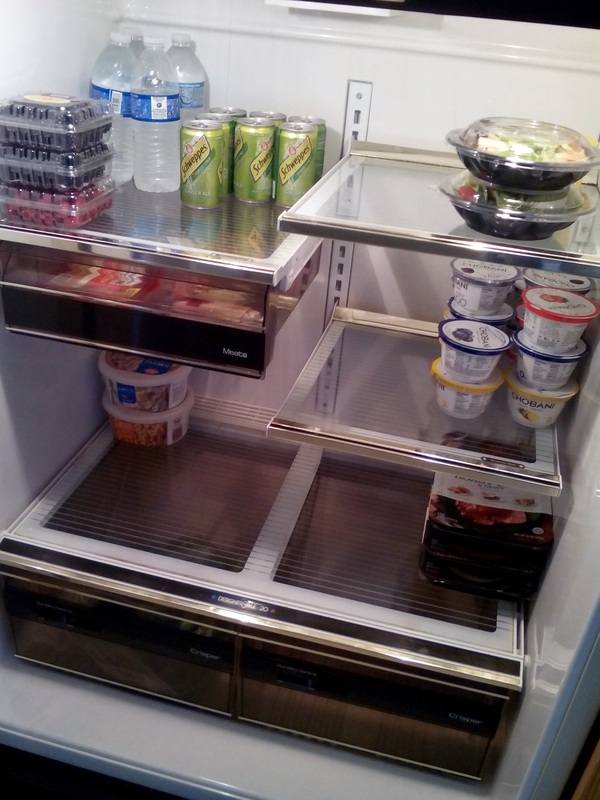 This was at a clients house: I cleaned her fridge while she napped! 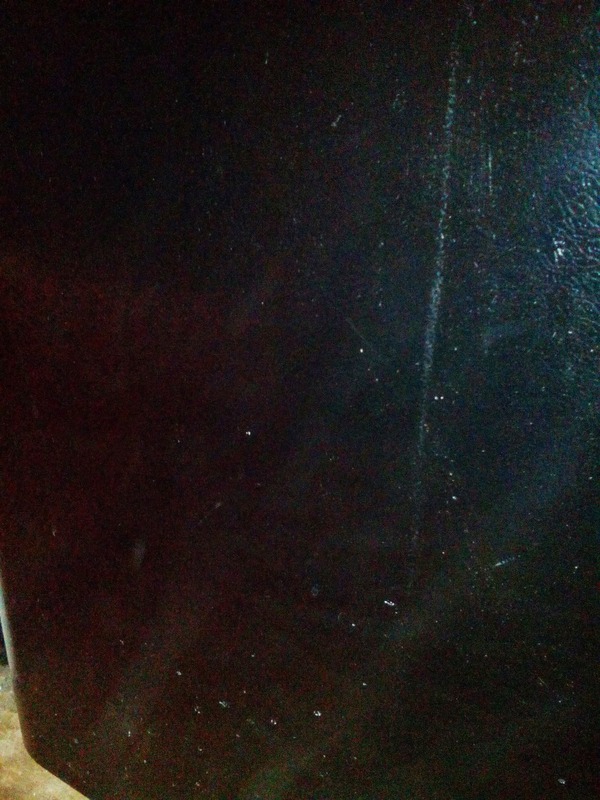 Front door to my own fridge at home! 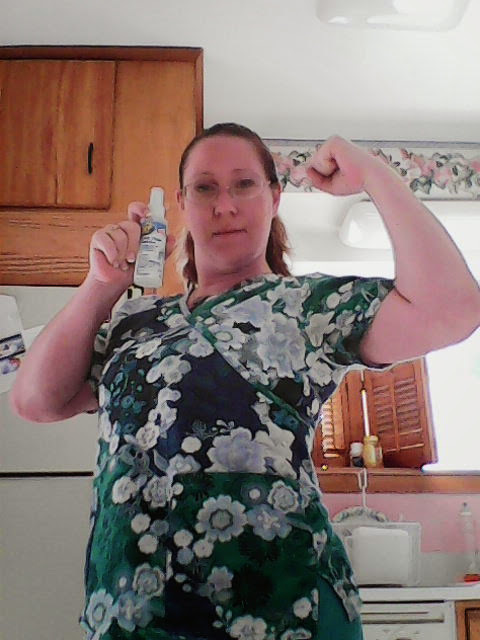 Me sporting the newest cleaner to join my cleaning routine! 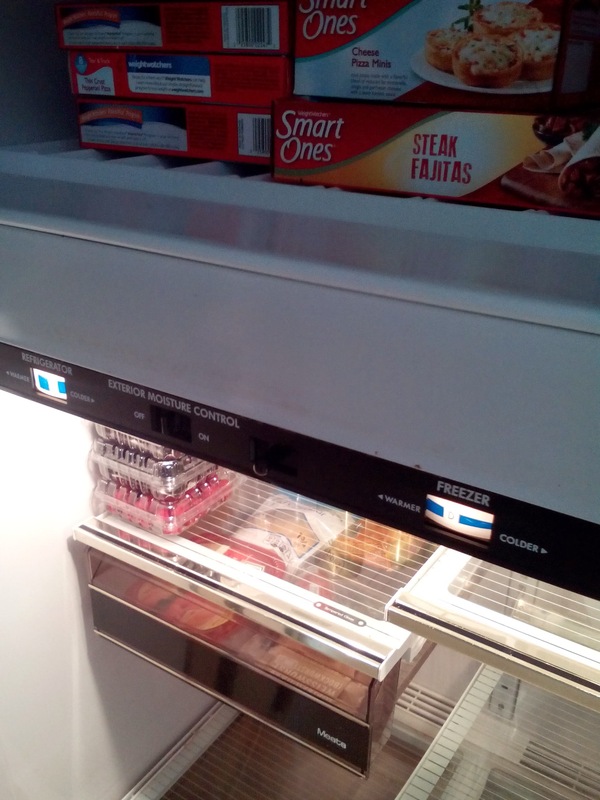 Thank you Zep and Crowdtap for choosing me to try out this product!! 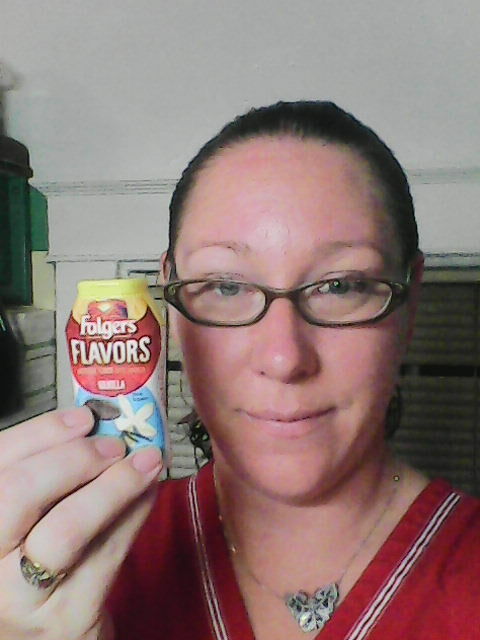 I received Folgers Flavor Enhancers free to try through Crowdtap in return for my honest opinion about the product! All opinions are my own! I received 4, 1.62 oz bottles to sample! The flavors were Hazelnut, Vanilla, Caramel and Mocha. 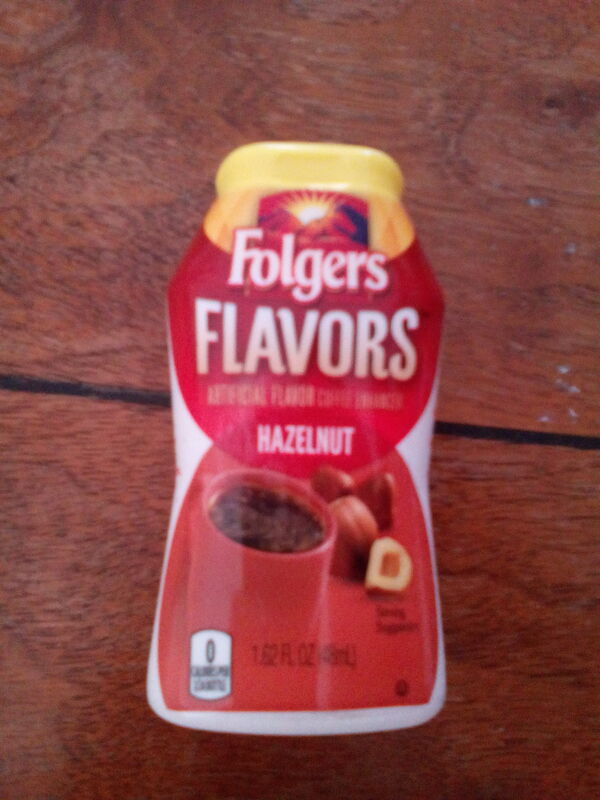 I tried the Hazelnut first as i am not to fond of the taste. I wanted to get what i thought would be the one I wouldn't like out of the way so I could get to the other ones haha I was surprised! I didn't add to much at first but found myself adding more after the first sip! 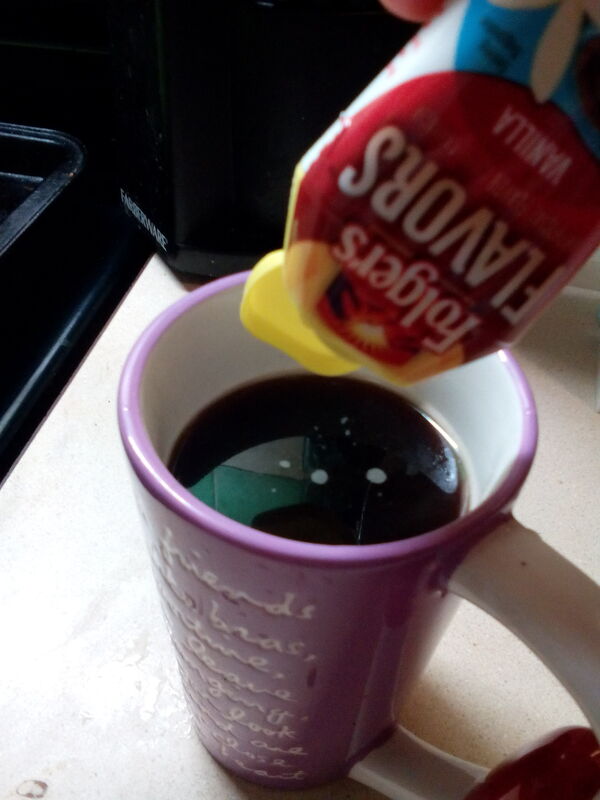 I really enjoyed my coffee that morning! 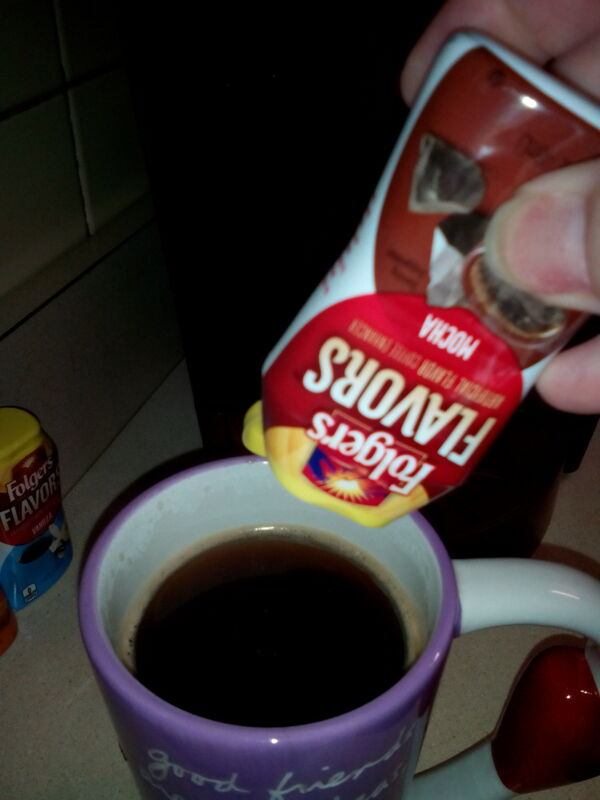 Lastly, I tried the Mocha. 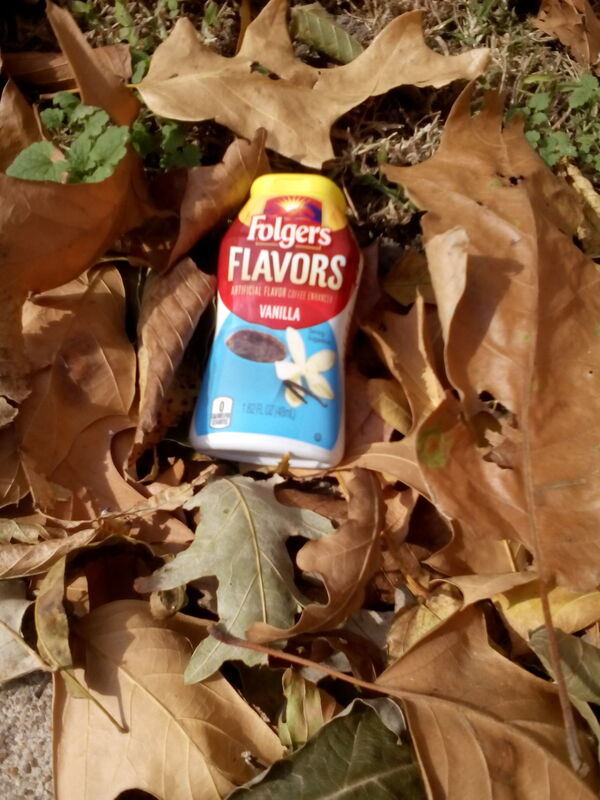 I was definitely not impressed with this flavor. It was very bitter and didn't taste like mocha at all. 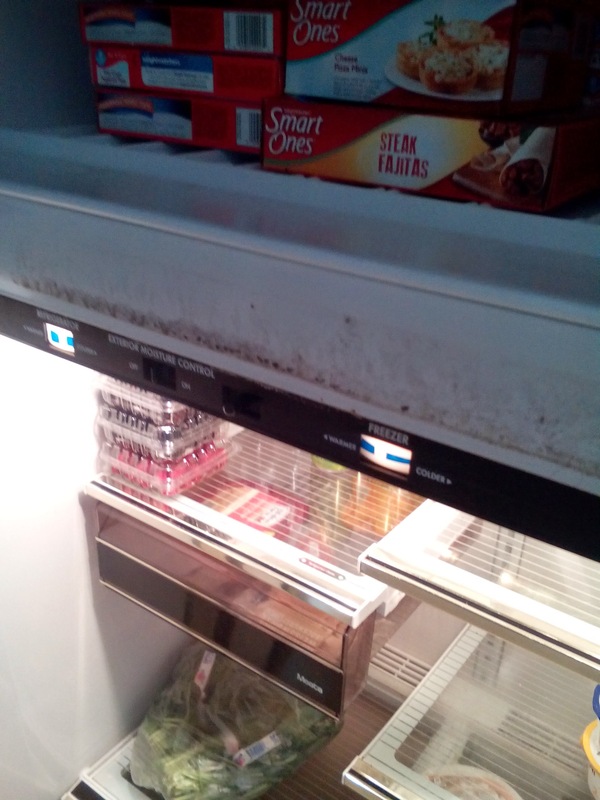 It left a nasty after taste in my mouth and I had to rinse with mouthwash twice to get the taste out. 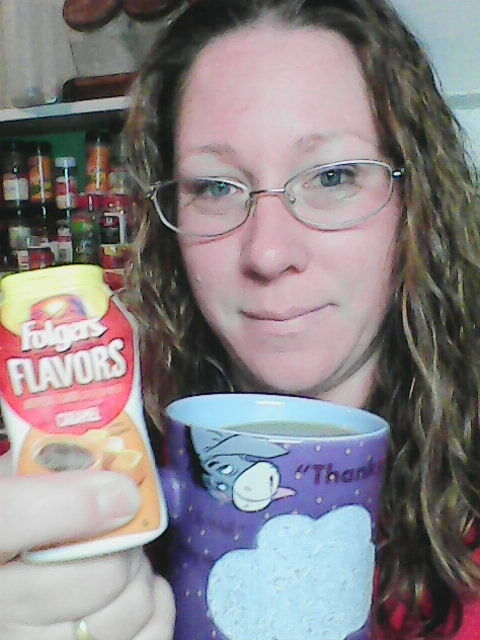 I thought that maybe i just put to much in the coffee so i tried it again with just a little bit. There was no change, I still thought it to be very bitter and not good. 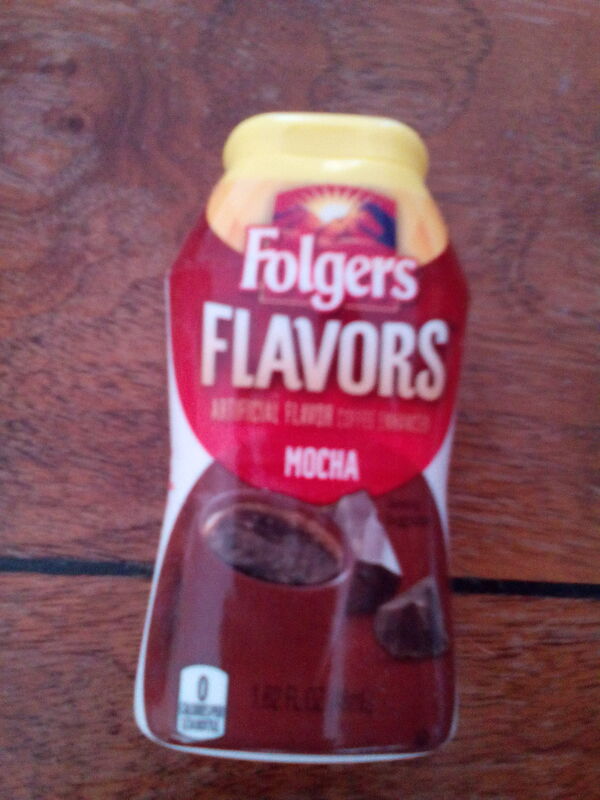 In all, I liked the Hazelnut, Vanilla and Caramel but do not recommend the Mocha. You can find these at your local Wal-Mart for $3.95. Which I think is a bit pricey for the small bottle you get. 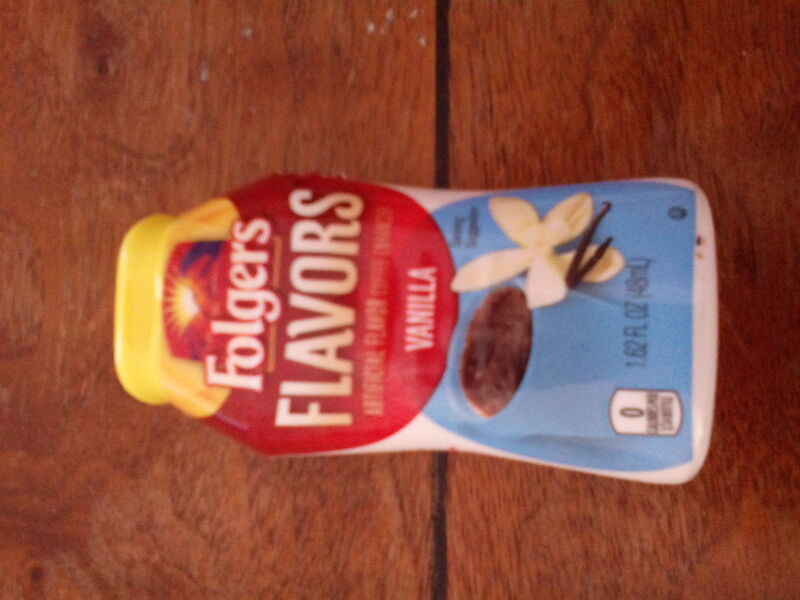 I think the only one I would definitely purchase would be the Vanilla and not very often. Not that they aren't good, I just don't see myself paying what they want for them on a regular basis. It would be a sweet treat for me on occasion! I would recommend you try it and see what you think! 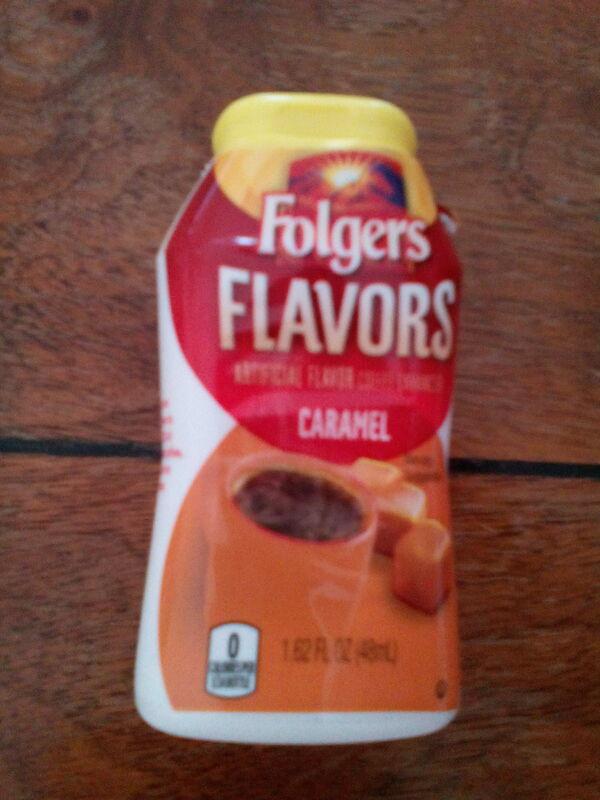 It might just make your coffee better then you ever expected! I was given the opportunity to read the first chapter of Tony Robbins new book Money: Master The Game. 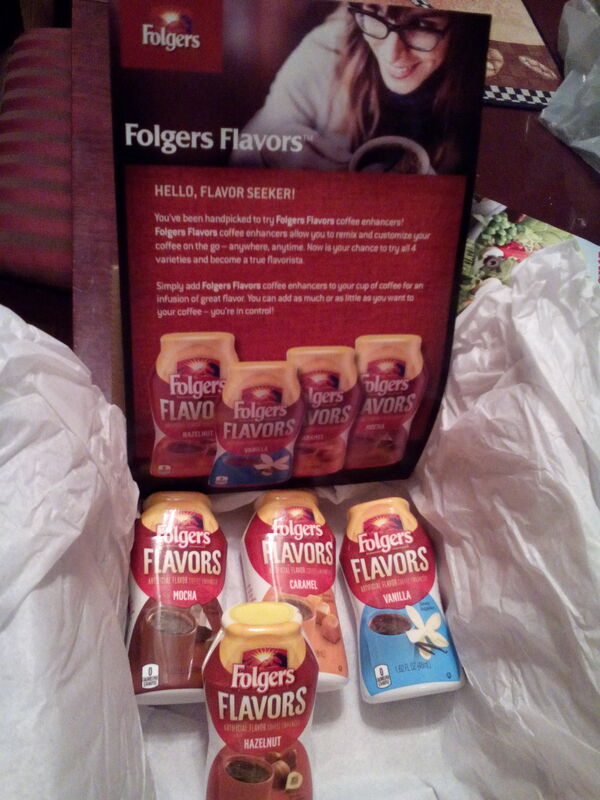 I received this free through Smiley360 in return for my honest opinion. In reading the first chapter of the book I am no closer in wanting to make more money then I was before. Although he does have a few good points, this is not a book i personally would be interested reading in it's entirety. Tony Robbins tells in the book that there are 7 simple steps to take in order to become financially free. That if we follow these steps we will never have to worry about bills, food, shelter and other necessities we may need in our lives. So who wouldn't want to make easy money and not have to work? In my opinion, if it was as simple as following just 7 steps, then why isn't there more rich people out there then the 1%? I don't think this book will tell me anything different then I already know. I did read the entire chapter but I found it very difficult. It didn't hold my attention at all. I promised to read it so i kept that promise. I do not believe that life is all about making money. Even if his tips worked I don't think i would be any happier then I already am. I believe that a person can make their own happiness whether they are wealthy or not. In fact i know some of the poorest people who have the richest most fulfilling lives! Remember that with every order, Tony Robbins will be donating to Feed America.